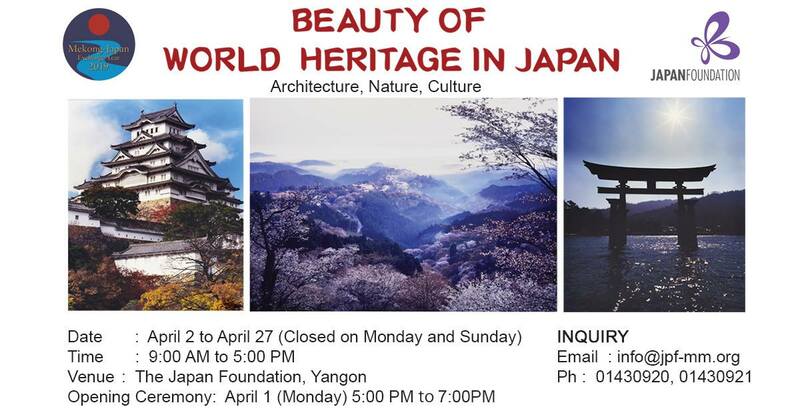 This ongoing photo exhibition organized by The Japan Foundation features photos of Japan’s 22 world heritage sites recognized by UNESCO including 18 cultural and 4 natural sites. The photographer Mizuno Katsuhiko is a well-known Japanese landscape photographer and gallery owner. The exhibition is open weekly from Tuesday to Saturday. One of the first real parties in town to set off the Thingyan festival theme takes place at 6 p.m. on Friday at Atlas Rooftop. This might be where you want to go with colleagues after the last day of work before the holiday. Entry is free and guests are encouraged to bring water guns and prepare to get wet! 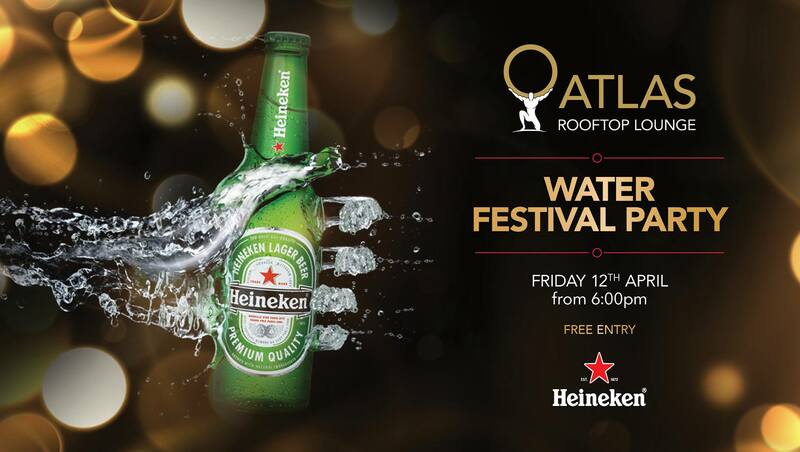 A free welcome glass of Heineken beer will be offered and later, DJ Shock will play music to get the dancing started. This is a big club night for the LGBTQ crowd and friends who are staying in the city for the holidays. There will be water hoses installed on the night and DJ Mike will be playing cheesy classics and some Thingyan-themed music too. Guests are reminded to bring waterproofing for your devices and valuables and to prepare to get wet! Tickets are 5,000 kyats. Before the hoses are turned on for the real street parties, where will you go to kick off the weekend? 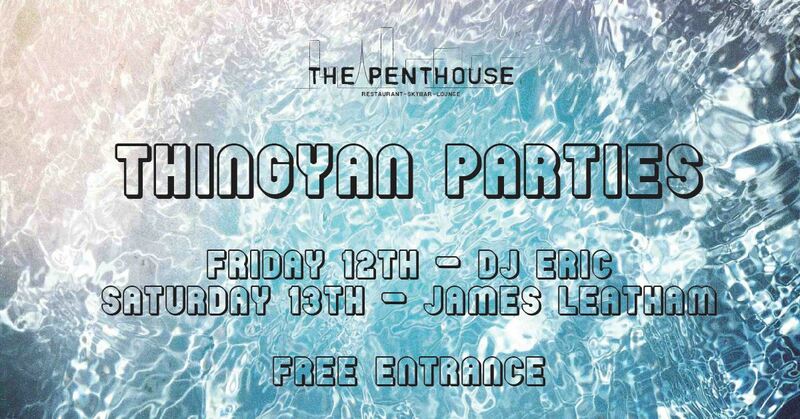 The Penthouse has two Thingyan-themed nights this Friday and Saturday. On Friday, Aung Myo Oo aka DJ Eric will be spinning tunes and Saturday will feature groovy beats by James Leatham. Entry is free. 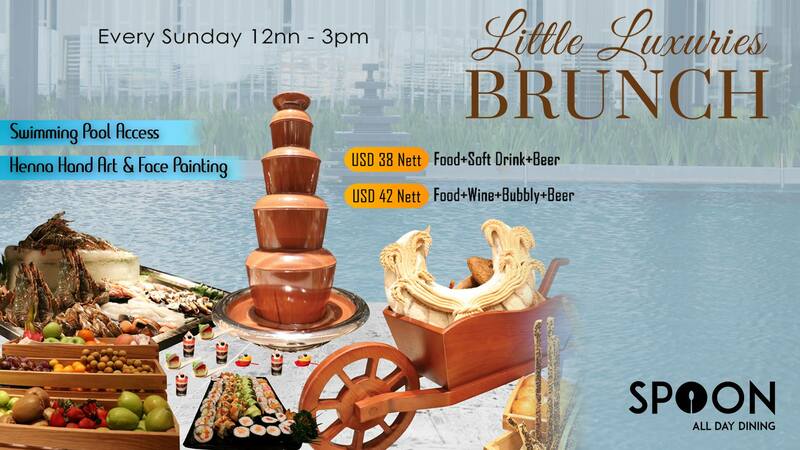 Chill out with a brunch and pool day this Sunday at the new Grand Wyndham Hotel next to Kandawgyi Lake. This is a good event for the whole family with swimming pool access included in the price, a live band, henna hand art and face painting for the little ones. The buffet includes a live grill, tempura station, cocktail bar, chocolate mousse and espuma tiramisu station and a chocolate truffle corner. Tickets for the buffet with free-flow soft drinks and beer are $38 (net) and with sparkling wine $42 (net). 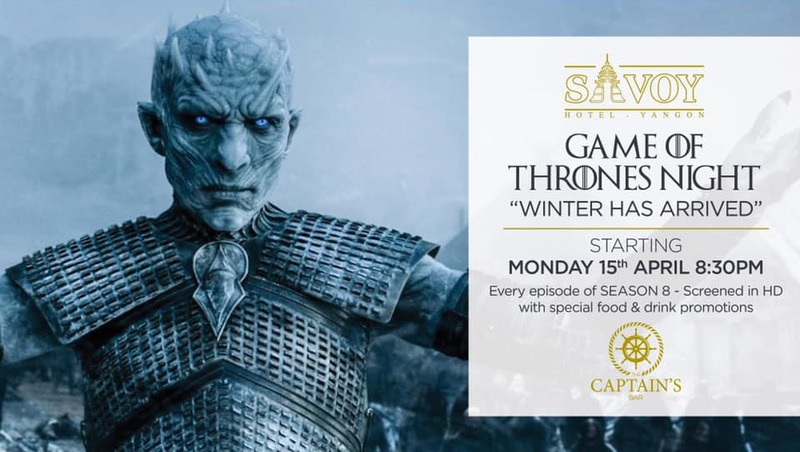 For Game of Thrones addicts and other nerds looking to escape the water festival madness, The Savoy is starting an exciting series of screening nights for Season 8, the first of which falls on Monday April 15. The show will be aired on a large HD screen in Captain’s Bar and a Game of Thrones-themed menu and drinks will be available as well as a season-long Game of Throne bingo game.